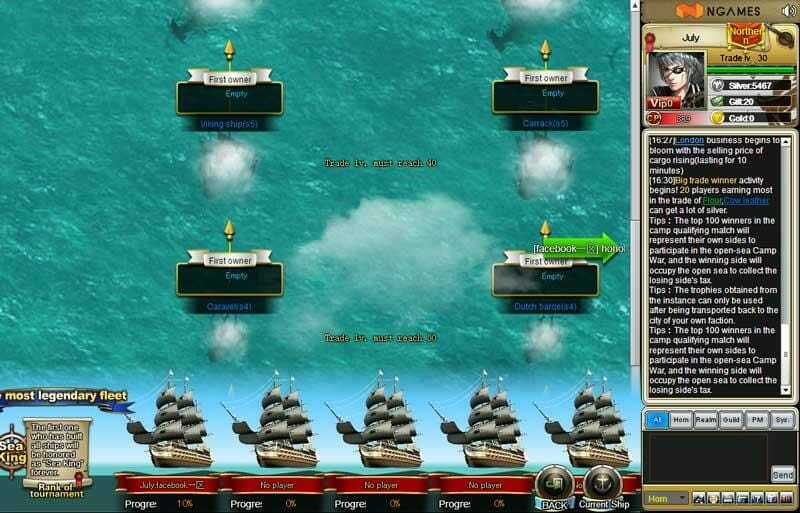 Grand Voyage is a free to play role playing game that puts you in control of pirate ships on the open seas. You are tasked with collecting resources to trade at the well known trading ports across the maps, battling with fellow pirates and completing tasks. 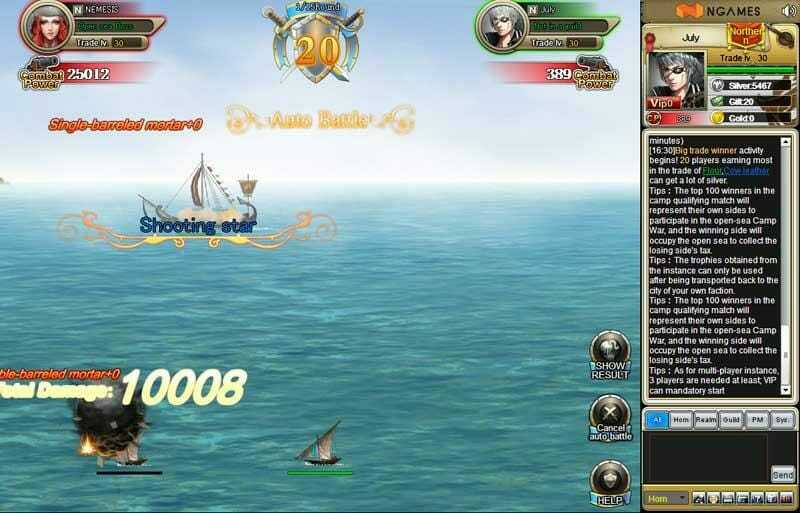 As you go along you can upgrade your ships to provide you with more speed and power when on the open seas. Whilst upgrading the ships is important, it is also important to ensure you hire the very best captains to control them. The better they are, the more efficient the ship will be in battle or on a quest. 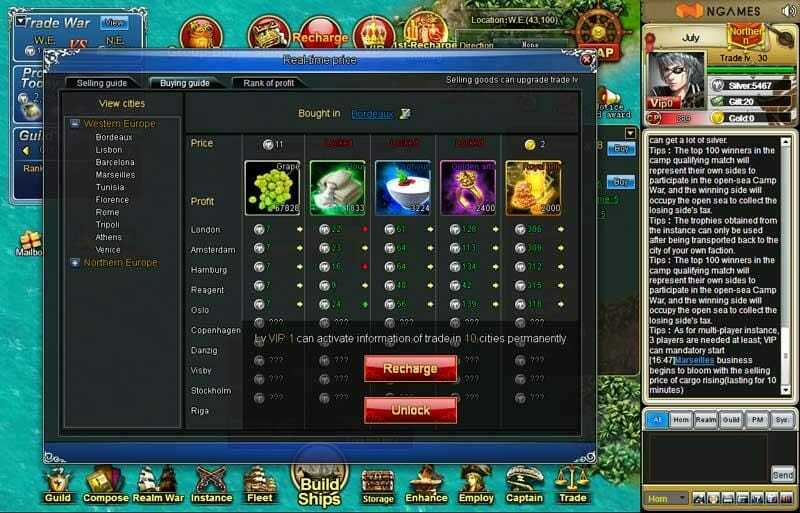 Trading is incredibly important in Grand Voyage and what makes it stand out in the game is the fact that prices will change in much the same way as stocks on the market. The more popular a resource is, the more expensive it will get and vice versa. 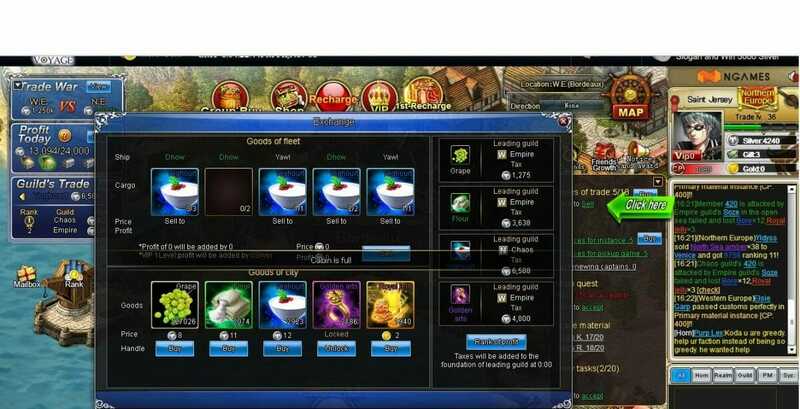 This means that all players in the game will contribute to market prices simply due to what they are buying. Prices refresh every thirty seconds, so a skilled player will know just when to sell and buy. This really does bring an interesting feel to the game and many players excel just from knowing the market so well. Buy low and sell high and you will soon be making the gold and silver needed to enhance your fleet. Another excellent feature is the ability to cross servers. This means if you have a friend that is in a battle on another server, you can jump across to join in. The social aspect of the game is at a very high level too. You can have friends, alliances and enemies within the society, leading to a highly competitive and interesting game. Make sure you choose each of them wisely though, as you are living in the world of dishonest pirates. Many will have no problem with fooling and backstabbing you. The game will hook you in from the very start as you take in the tutorial that will show you how to play the game. 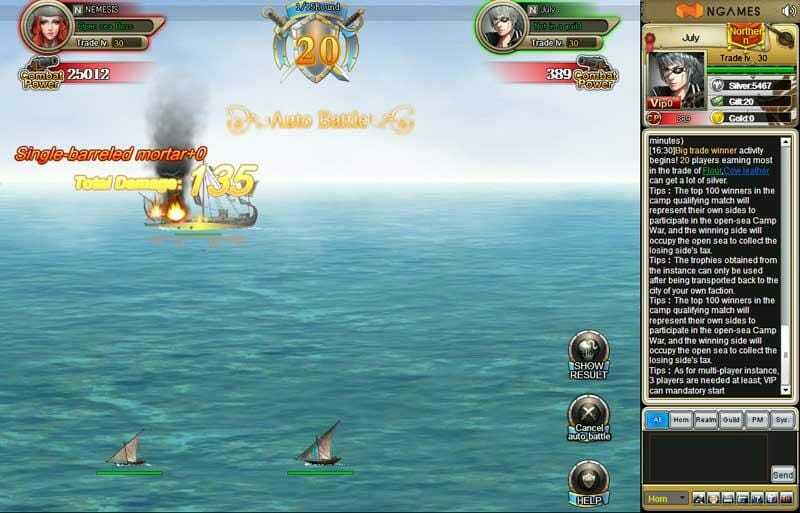 You will learn how to complete tasks, go trading, upgrade your ships and fight other pirates. You will soon see that the game will make hours of your day just disappear whilst you try to prove to be the best pirate around. The graphics are fun without being anything too special but it is the game play that is the massive draw with this game. There is just so much you can do and the live trading is just a joy to behold. You will feel a great sense of achievement when find an item at a low price, sail to another port where it is extremely popular and sell it for a huge profit. There is of course premium features that will cost money. These will give players the ability to buy better weapons and ships and will give them special bonuses that free players will not be able to have. Premium features are a necessary evil with free to play games unfortunately as there would be no games without them, yet they do not affect this game too much and there is plenty to keep free players competitive. The game should be checked out as it will not only appeal to those that love the pirate genre but also those that love trading games.